The following statement has been issued by Palestinian Prisoners in Israeli jails. Prisoners from a number of different political currents have organised the ‘Karameh’ (Dignity) Hunger Strike. 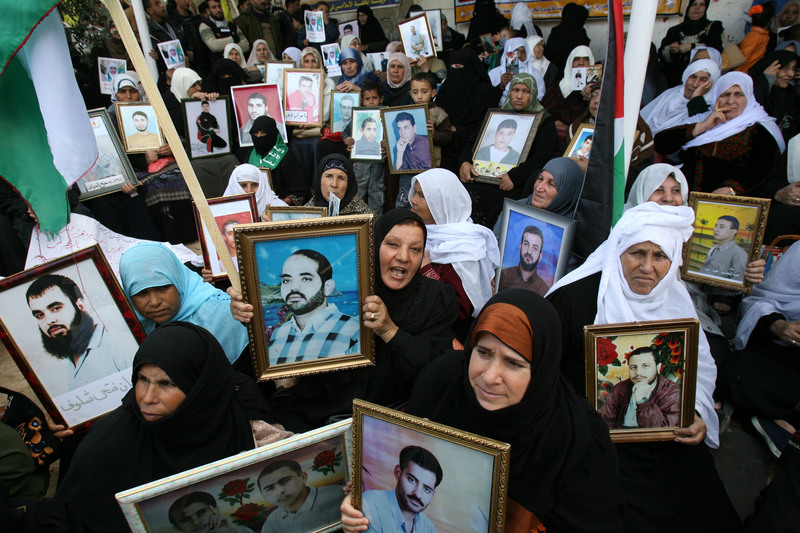 Protest action will be stepped up on a daily basis until the 17th of April (Palestinian Prisoners Day) when an indefinate hunger strike will be launched. The various political currents in the prisoners movement who are held in the zionist jails have reached an agreement to escalate the ongoing hunger strikes in order to achieve the human rights which Israel have denied prisoners for many long years. Prisoners will begin an indefinate hunger strike this month. This means they will refuse all forms of food and liquid (with the exception of water) until their demands are met. The hunger strike has been initiated because this is the the the only tool that the Palestinian prisoners have to achieve their rights. We must pressurise the occupying government and force it to negotiate on the demands the prisoners movement has been striving to achieve. The hunger strike is supported by the prisoners movement as a whole, with agreement amongst all member parties. 1. An end to the policy of solitary confinement and isolation which has been used to deprive Palestinian prisoners of their rights for more than a decade. 2. To allow the families of prisoners from the Gaza Strip to visit prisoners. This right has been denied to all families for more than 6 years. 3. An improvement in the living conditions of prisoners and an end to the ‘Shalit’ law, which outlaws newspapers, learning materials and many TV channels. 4. An end to the the policies of humiliation which are suffered by prisoners and their families such as strip searches, nightly raids, and collective punishment. The aim of the hunger strike is to shift local, regional and international public opinion. It aims to put pressure on the occupying government and hold it responsible for the health of all prisoners. Palestinian Prisoners are calling on free people across the world to to do everything in their power to support them in their struggle for rights. .3. تحسين الوضع المعيشي في السجون، الذي تداعى بقرارات سياسية وقوانين جائرة، مثل ما يسمى “بقانون شاليط” الذي حرم الأسرى من أبسط الحقوق، كالتعليم ومتابعة الإعلام من خلال سحب العديد من القنوات الفضائية وكل الصحف المكتوبة.